Estonia is a land of theater wonder, with sublime plays that are like Estonian chocolates: once you’ve opened the box, you can’t stop eating. I like the myth that Estonia is a land of theater wonder. Firstly, because it confirms that as someone who works in theater, I’ve made the right life-choices and am contributing to a field that is growing and blossoming. Secondly, because the myth seems to imply that Estonians are an unusual people: a people who tirelessly attend the theater. A people who love theater more than any other. Statistics back this “myth”: over the last couple of years theater attendance in Estonia has crossed the one-million mark, which is an astonishing accomplishment from a global perspective. More and more new theaters are popping up and it’s often difficult to acquire tickets to the old ones. Newcomers are experimenting with more and more novel theatrical forms, while veterans continue crafting high-quality productions. 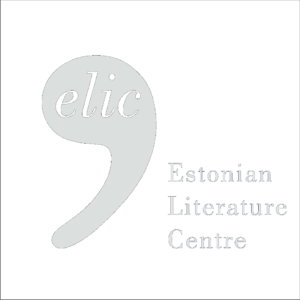 A similar richness is present in playwriting: every year, close to one hundred new and original works are staged in Estonia, which means that (theater) writers, production playwrights, and actors/directors who write are up to their necks in work. One would furthermore be hard-pressed to find anyone who manages to attend every new production (or even manages to read every new original play). Drama – what for, and for whom? For me, the central issue when discussing drama is the author’s intent: are they creating an independent work of art or a theatrical base text, the primary goal of which is to inspire playwrights and actors to stage a production? Which is to say: is the piece written for the reader or for the director? Another type of writing has recently enjoyed success in Estonia: several exciting productions have sprung up from cooperation between playwright and director. I, however, have developed a certain fetish: I enjoy reading drama. Naturally, I likewise enjoy going to the theater, and it’s difficult to imagine anything more powerful than a touching performance. At the same time, reading certain works of drama can provide a similar, if not even more intense, experience. The slim form and briskly-moving structure of plays make them easy to read. Furthermore, they are a way to get a glimpse into how and of what a playwright is thinking. An original Estonian script generally finds its way to the stage as such: a director has an idea and tells a playwright about it. Together, they discuss possibilities for how the story could be executed, and the author puts together a draft for the first rehearsal. Ever more often, this undergoes a thorough revision during the rehearsal process, in which members of the theater troupe are already participants. The playwright contributes to this process foremost with his talents, not his ideas. I’d like to stress that I do not regard one option as better than the other: both methods can boast remarkable outcomes. If, however, one wishes to enjoy direct contact with the playwrights themselves, then there is no better way than by reading the entries submitted to playwright competitions. The Estonian Theater Agency’s biyearly New Drama Competition, which began in 1995, has become a sustained, thriving event that produces thrilling plays and unearths new authors. It is an ideal opportunity for authors to tell their story in the exact form they wish. Entries must stand on their own two feet. It’s not possible for authors to hide behind a director or any other crew member. The piece either works, or it doesn’t. I’ve come across very many compelling features while reading competition entries over the last three years. Standing out foremost is the abundance of sci-fi/fantasy stories, which one rarely encounters in the context of Estonian theater. Loone Ots’ The Gerontes, i.e. The End and Karl Koppelmaa’s Tr0ll, i.e. Socrates Must Die depict dystopian futures, urging us to notice the unsettling processes happening around us even now. Koppelmaa, a young playwright and director, went a step further with his visions of the future and won the joint Baltic states competition “Talking About Borders” with his play Green Like Singing. A fascinating story comprised of monologues, Green Like Singing features several characters sharing their memories of Sebastian – a man who impacted their lives at a time when the whole world finally went crazy and World War III began. Olev Remsu’s alternative-history play The President can also be added to the sci-fi list. The drama focuses on one of the most influential and controversial Estonian heads of state – Konstantin Päts – and, as alternative histories do, offers yet another interesting way to interpret the past. The four given works are treats for all fans of “high-concept” and “as-magic-as” stories, and may also be a sign that science-fiction will take the stage in Estonia with increasing frequency. Naturally, the body of winning entries is not without its “small stories” that tend to focus more on the unusual trials of ordinary people. Piret Saul-Gorodilov’s One in the Pocket, the winner of the 2015 competition, is about a young mother who moves into a former kolkhoz apartment building, which today has come to symbolize bleak periphery: a communal dwelling in the middle of nowhere. Although the protagonist is convinced the father of her child will ultimately come for her, the reader (or viewer) wonders how long she will be able to keep that faith alive in such a gray environment with no prospects. Saul-Gorodilov stuck another win in her pocket in 2017 when her radio drama Prevention came in first place in a competition organized by Estonian Radio Theater. Prevention is a fantastical story about a woman lying on an operating table who experiences bizarre adventures while anaesthetized. Piret Jaaks’ Sirens, which took second place in the Estonian Theater Agency’s New Drama Competition, similarly wanders the fringes of the human mind. The play begins with an utterly theatrical situation: several complete strangers awake in a room with no doors or windows and set to figuring out how and why they’ve ended up in such a predicament. What results is an intellectual challenge with twists aplenty for both the characters and the reader. 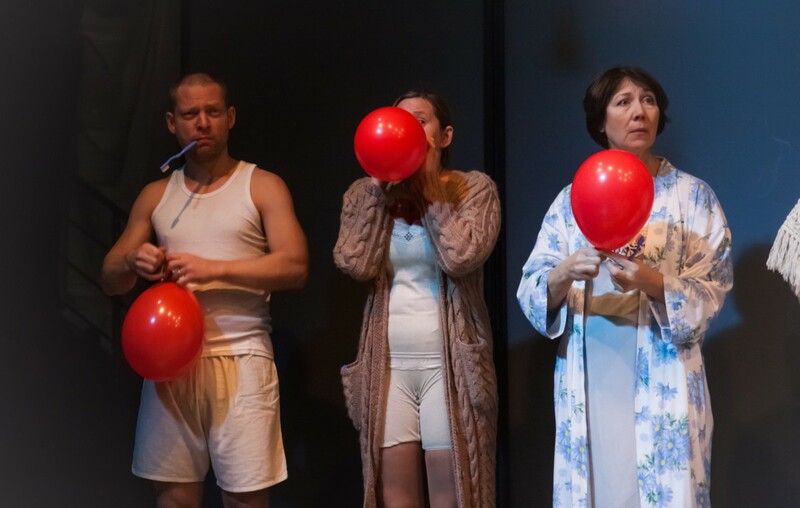 Forming a group of their own are Estonian plays based on a socially sensitive topic or one that has been swept under the rug. Liis Sein’s play From Where the Wind Blows turns the spotlight to blind musicians who are fired from an orchestra and must find a new central point for their lives. The same author’s play Honey, I’m Happy shows what happens when a woman who has been married for decades finally confesses to her husband that she is a lesbian. 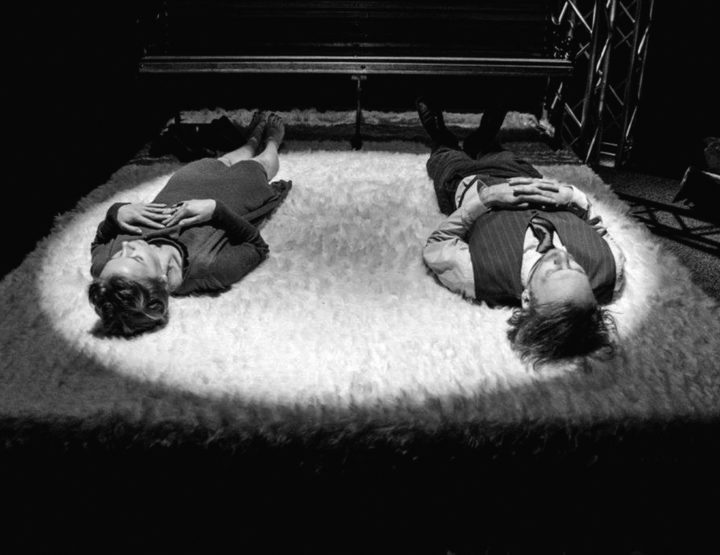 Kiti Põld’s Bury Me Nicely is a great example of how a simple conversation about how someone would like to be buried can escalate into a dispute over the spouses’ relationship and their future. Copper by Johan Elm, a recent graduate of the Estonian Academy of Music and Theater’s Drama School, hands the mic to creators. A colorful group of people gather at a seasoned painter’s studio and, as usual with such social gatherings, inevitably arrive at the question: where is the line between art and life? What rights and responsibilities do creators have for their work? Maimu Berg’s Atelier tells of a similar meeting of cultural individuals, but in a confessional manner. She focuses on the legendary Soviet-era gatherings at the atelier of the famous Estonian psychologist and writer Vaino Vahing, which she personally attended as his wife. Berg describes the more hidden side of such a lifestyle – its very lowly and human aspect. Elm and Berg’s respective works form a kind of unintentional whole and act as commentaries or dialogues with each other when read. Ott Kilusk’s Axework, which is written in the Seto language and conjures an entire universe, was the winning entry of the 2017 competition. The crime drama unfolds in a small South Estonian village in the 1990s, weaving together the living and the dead along with humor and horror. The result is a well-tangled web that poses a proper challenge for all who attempt to unravel it (and Godspeed to the translators who take on the task – the play is certainly worth translating!). Although this brief article cannot address all the winning entries, it is clear that Estonian playwrights repeatedly take us by surprise with fascinating topics and observations while not overlooking the oft-lacking element of humor (here, it’s worth mentioning Katrin Ruus’ Half-uncle, i.e. Journey into the Blue). Naturally, one can always question the juries’ decisions and the adequacy of the generalizations their selections allow us to make, but for theater fans, these competitions are praiseworthy springs of new material and always produce intriguing works to be read. The drama mentioned here is of high technical caliber and the stories are truly enjoyable even without a stage. Still, I hope they will all one day be put on for audiences – if not in Estonia, then elsewhere abroad. The myth that Estonia is a land of theater wonder goes hand in hand with another: that local theater is inward-looking, self-absorbed, and disregards the rest of the world. I disagree. Many of the plays mentioned here are universal in nature and may be retold in several different cultures. And to all those who doubt whether plays are worth reading in the first place, I say: give it a try. I assure you the appreciation will thrive. For information on Estonian plays and their translations, contact the Estonian Theater Agency’s dramaturge Heidi Aadma (heidi@teater.ee). The Estonian Theater Agency’s web page at www.teater.ee also contains English-language information on Estonian playwrights and drama. Mihkel Seeder (b. 1988) is a playwright. He also works as a dramaturge at VAT Theater and an instructor at the creative writing school Drakadeemia.